JFly with students from his foundation How Big Is Your Dream?! at the 2013 Unity Concert. In a time where so many entertainers and celebrity figures view the idea of giving back to the community as simply shouting out their “hood” on award shows and in music videos, Jorel “JFly” Flynn chooses to go against the grain and truly give back. Artist, drummer and producer extraordinaire JFly, in association with the great City of Waycross, Georgia and the How Big Is Your Dream Foundation?! (HBIYD), will be hosting the 5th Annual JFly Music Festival on Saturday, September 28th, 2013 from 4pm-11pm at Phoenix Park, in Waycross, GA. This festival provides the Waycross community and surrounding cities in the Southeast region a diverse showcase of the best national artists that have graced the stage alongside JFly. Attendees at this year’s festival will experience a stellar concert with live performances from JFly and The Fly Trap, Tony Terry, Howard Hewett formerly of Shalamar, Jeff Bradshaw, Cherrelle, Chandra Currelley from Tyler Perry’s Madea’s Big Family, Antonio Allen, Good Times Brass Band, Melvin Miller, Emdee Brown, Latrese Bush and surprise special guests. This is a free family fun filled event. JFly is a Waycross, Georgia native. He grew up in a community where there “really wasn’t a music scene,” says JFly. So being that there weren’t many outlets for people who were musically inclined he originally started playing drums in a Pentecostal church alongside his siblings. Despite the lack of upward mobility for entertainers in his hometown, he found the courage to move to Atlanta after graduating from Waycross High School in 1994. He initially left to attend college to peruse an Electronic Technology Degree. During his pursuit he received a call to tour with R&B diva Kelly Price. “Actually the first time I ever came to Savannah was on tour with Kelly Price. We performed at the Savannah Civic Center”. This was an amazing life changing opportunity that catapulted his career. JFly has played with renowned artist like Cameo, Toni Braxton, Keith Sweat, K-Ci and Jo Jo, and Jennifer Holiday just to name a few. JFly pays homage to his friend and mentor Savannah native Gospel mainstay James Bignon who gave him his start. Bignon was the first person that introduced him to studio recording. JFly is the founder of the How Big Is Your Dream Foundation?! pursue their dreams. According to JFly the foundation was started after the festival returned to Waycross. “I started to think about how it was growing up in an area where there was no music scene and wanted to change the perception of success for the youth. I wanted to show them you can be successful without being a drug dealer or a criminal,” says JFly. The HBIYD Foundation serves as a beacon that helps youth to live out their dreams and provides a positive social impact in certain communities that others wise goes forgotten. The HBIYD Foundation plays a major role in music education by assisting the schools in Atlanta, Decatur and Waycross, GA with providing musical instruments, scholarships and mentorships to deserving students in those areas. Towers High School located in Decatur, GA, a partner school of the HBIYD Foundation, recently received a Grammy from the Grammy Foundation in conjunction with the help from the HBIYD Foundation. JFly is currently an Advisor for the the Atlanta Chapter of the Recording Academy. In addition to JFLy’s notable work in the public school systemhe also speaks at the DeKalb Youth Detention Center. He focus is males between ages 12 and 17. The HBIYD Foundation has made so much of a major impact on the DeKalb County Court System. For the first time the DeKalb County Court system has allowed an organization to address the youth that are incarcerated . Show goers can expect The 5th Annual JFLy Music Festival to be “a celebration of something that wasn’t suppose to be. Nobody thought that a music festival would be successful in a small southeast Georgia city like Waycross” says JFly. The Festival will have new, exciting things taking place. Included are Waycross local business giveaways, Waycross YMCA providing Kid’s Korner with Bounce house, Zumba dancing and much more. This festival will aide in creating memories that will last forever for young and old. 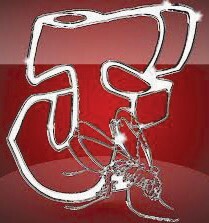 For more information about The 5th Annual JFLy Music Festival log on to howbigisyourdream.org and for more information about JFLY go to jflymusic.com.